The Defund Islamophobia report is described in the article below. Imagine a scenario in which the communal fund of a major U.S. religious or cultural organization gave money to virulently anti-Semitic, neo-Nazi groups. Imagine the totally justified outrage that would accompany those revelations. Imagine how Jewish communities would react: with indignation and the demand that the fund immediately stop supporting hate and anti-Semitism. This would absolutely be the right thing to do. Now imagine what has actually happened: New York’s Jewish Communal Fund (JCF) has been financially supporting hate directed toward Muslims. It has funded the work of some of the most virulent purveyors of Islamophobia in the country. When Jewish mainstream organizations learn about this support for anti-Muslim racism, imagine that they react with the same outrage as if it had been directed toward Jews. Let’s hope that will be the case when they learn the facts. A report recently released by three progressive Jewish organizations (two of which we work with), documents how the JCF is funding Islamophobia. JCF federal Form 990 filings reveal that, going back to at least 2001, it has funded anti-Muslim hate groups, with six of them receiving a total of $2,082,212 between 2013 and 2017, the last years for which 990 forms are publicly available. But that’s not all. JCF also funds the Investigative Project on Terrorism, led by Steven Emerson, perhaps best known for claiming immediately after Timothy McVeigh’s 1995 Oklahoma City bombing that the attack had “a Middle Eastern trait” because it “was done with the intent to inflict as many casualties as possible;” the Middle East Forum, whose Daniel Pipes alleged that President Obama “enforced Islamic law;” and the Middle East Media Research Institute (MEMRI), which the Center for American Progress has described as the go-to source for those in the Islamophobia network who want to “make the case that Islam is inherently violent and promotes extremism.” JCF has also accepted financial support from two funders of the Islamophobia network: the Abstraction Fund and Gotham Charitable Foundation Trust. The Center for American Progress describes the leaders of the Islamophobia network as “misinformation experts.” They not only provide misinformation to media outlets, but they also have relationships with government officials, whose support lends credibility to these anti-Muslim bigots, allowing them to secure funding from government and private sources. Anti-Muslim racism has a long, ugly history in the United States, which has accelerated since 9/11 and intensified still further under the current administration’s policies. Islamophobia has become deeply entrenched within U.S. society—on the streets, in government, in institutions, in the media. JCF has the power and obligation to stop funding anti-Muslim hate groups. Its rules give it the right to reject any and all grant recommendations, with includes individuals with donor-advised funds who designate a specific organization for funding. According to JCF’s handbook, “all grant recommendations are nonbinding,” with JCF retaining the power “to decline grant recommendations.” Although JCF gives to many worthwhile projects and grantees, that does not make it acceptable to give a single penny to anti-Muslim hate. In addition to JCF’s funding of anti-Muslim racism, activists in Chicago exposed in 2017 similar funding of Islamophobia by the Jewish United Fund/Jewish Federation of Metropolitan Chicago through its donor-advised funds. Its funding between 2011 and 2014 included the Middle East Forum and Investigative Project on Terrorism, recipients of nearly $650,000 from JUF. In the 2013-2017 fiscal years, the Combined Jewish Philanthropies of Greater Boston (the local Jewish federation) also funded anti-Muslim hate, including giving more than $360,000 to three of the anti-Muslim hate groups highlighted in the JCF report. More recent research on the Jewish Community Federation of San Francisco and the Helen Diller Family Foundation, which is “housed and staffed” by the Federation, documents substantial financial support for anti-Muslim hate going back to 2003. Nearly $2 million in the 2013-2017 fiscal years went from the Federation and Diller to the six groups that are the focus of the New York City report, as well as substantial funding to other anti-Muslim groups. It was heartening to learn that the Diller Family Foundation agreed to stop funding the blacklist website Canary Mission, which targets pro-Palestine activists, just hours after a report about its $100,000 donation appeared in the Jewish press. At this moment, however, there has been no public sign that it is ending its support of anti-Muslim racism. White supremacists, including those with the power of the state behind them, feel emboldened these days to act upon their violent and aggressive combination of racism, misogyny, Islamophobia, anti-Semitism, transphobia, homophobia, and more. It’s critical to be principled in the commitment to challenge all forms of injustice—in words, actions, and the insistence that community institutions be accountable. This means that the JCF and others need to cut off all funding to anti-Muslim hate groups, now and in the future. Donna Nevel, a community psychologist and educator, and Elly Bulkin, a writer, are co-founders of Jews Against Anti-Muslim Racism (JAAMR). The construction of Israel’s mammoth apartheid wall has separated Palestinian farmers from their fields and destroyed Palestinians’ legally owned fertile agricultural land. July 12, 2012 – Links international Journal of Socialist Renewal — Since the idea of Zionism first gripped the minds of a few intellectuals and the limbs of many agrarian pioneers in the early 20th century, the state of Israel has presented its settlement of the land of Palestine, and its uprooting of the Palestinian people, as a rejuvenation of the earth. By “greenwashing” the occupation, Israel hides its apartheid behind an environmentalist mirage, and distracts public attention not only from its brutal oppression of the Palestinian people, but from its large-scale degradation of the earth upon which these tragedies unfold. The Jewish Communal Fund (JCF), the funding arm of the UJA-Federation of New York (UJA-Federation), has for years funded a host of anti-Muslim hate groups—contributing more than $2 million to six such groups just in 2013-2017. While JCF is understandably proud of its funding of numerous community, health, and other such organizations, it seems decidedly reluctant to call public attention to its support for these Islamophobic groups. We call upon the JCF to make a firm, public commitment to stop contributing to these anti-Muslim groups and to others that share their ideology. 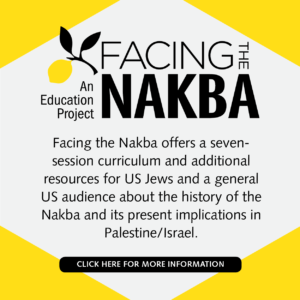 The presentation is just the latest example of how the JNF, founded at the turn of the century in order to colonize the land of Palestine with the Jewish people of the world, is attempting to alter its settler-colonial image by establishing itself as a leader and champion of environmental and water conservation causes. The organization is presenting at the UN as an approved member of its nongovernmental organization network. But far from operating as a nongovernmental organization, the JNF actually works in close tandem with the State of Israel to promote its agenda of maintaining a Jewish settler-colonist state. For example, the JNF holds a privileged status in Israel. It holds 50 percent of the seats on the Israel Land Administration (ILA) Council, the public authority that controls 93 percent of state lands. The JNF’s bylaws prohibit the organization from leasing land to “non-Jews.” In fact, in August 2004, the ILA admitted that the JNF tenders land only to Jews. Thus, Israel hands off the dirty business of explicitly discriminatory land policies to the JNF, neatly avoiding direct violation of many of the human rights treaties the state has signed. But even if the JNF is not operating directly in the Palestinian territories outside the Green Line (Israel’s internationally-recognized armistice line with the occupied West Bank), it has played a critical role in the aggressive displacement of Bedouin communities in the Naqab (Negev) — in particular, in Al-Araqib. Furthermore, despite Israel’s concerted efforts to depoliticize the issue of water, it is inherently a political one — as is JNF’s involvement in it. 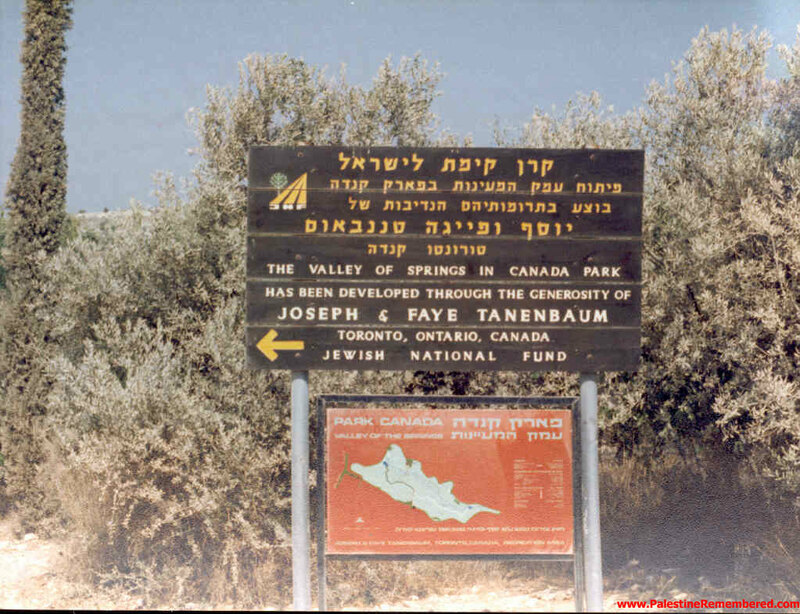 The JNF began to alter its agenda from being an organization exclusively dedicated to settling Jews in Palestine and covering over Palestinian villages destroyed by Zionist militias to a seemingly less controversial agenda in 2002: “Beginning in 2002, Jewish National Fund made its debut on the international front as an environmental organization,” the organization states on its website. JNF’s profile on the website of the UN Department of Economic and Social Affairs lists climate change, forests, freshwater and human settlements as among its fields of expertise. JNF’s membership with the UN’s Department of Public Information allows it to sponsor or facilitate panels and workshops at UN conferences around the world, affording it the chance to conduct bluewashing events like the one taking place tomorrow. This “bluewashing” agenda seeks to extract the issues of water in Palestine from the broader political circumstances, focusing on technical solutions to water scarcity and emphasizing Israel’s conservational approaches to wastewater and agricultural practices. The salient facts are ignored — Israel exercises total control over all the natural water sources in the region, deliberately gives Palestinians insufficient water and even denies their ability to collect it, and thus maintains a system of water apartheid. For Palestinians, the water crisis is constant: as many as 200,000 Palestinians are not connected to running water, and the average Palestinian consumes just 70 liters a day while the World Health Organization recommends at least 100 liters per day. 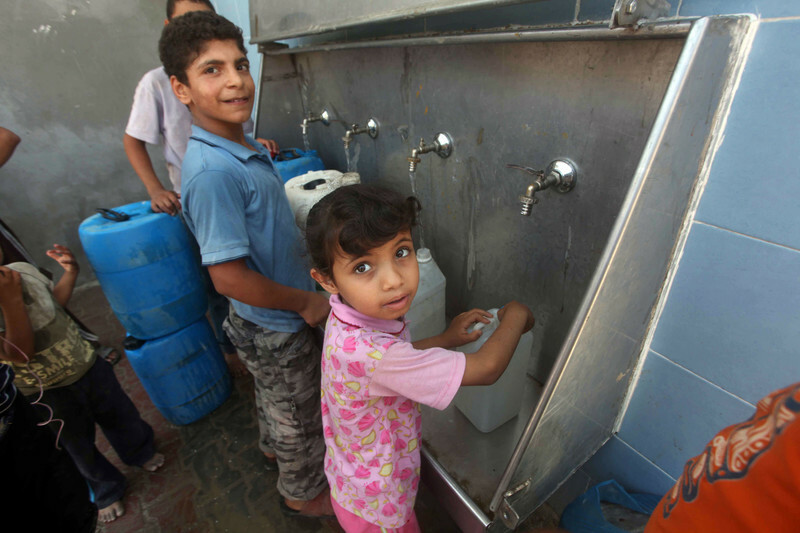 Gaza’s sole aquifer is over-extracted, making 90 to 95 percent of the water unfit for drinking. Bluewashing is a flagrant attempt to paper over these facts and create new ones. All of this brings us to tomorrow’s panel, which will be moderated by the JNF’s Vice President of Government Relations, Joseph Hess, and includes Clive Lipchin of the Arava Institute for Environmental Studies, Seth Siegel, an AIPAC member and commenter on water issues in the region, and Sharon Megdal, a professor at the University of Arizona. Clive Lipchin is the Director for Transboundary Water Management at the Arava Institute for Environmental Studies. 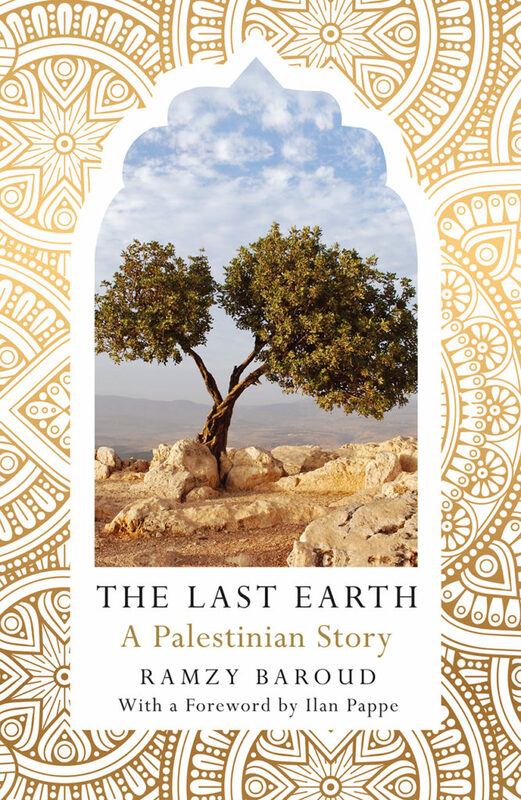 The Arava Institute was founded in 1996, in the wake of the Oslo Accords, and as such promulgates a mission that values cooperation between Palestinian and Israeli groups in “environmental studies” outside of any political context. According to the JNF’s 2011 990 form, it gave $523,825 to the Arava Institute in 2011 alone, making it JNF’s largest single recipient of cash aid. Seth Siegel sits on the national board of AIPAC and runs a brand-licensing agency. According to his biography, Siegel has a forthcoming book about water resources in Israel. Siegel’s noxious mendacity makes his role as hasbarist easy to recognize. However, other water experts fall in line with him, ably assisting in bluewashing efforts that emphasize solutions like desalination rather than confronting Israel’s systematic denial of Palestinians’ water rights. Sharon Megdal is a professor at University of Arizona has been traveling to Israel to study the water situation in earnest since 2009. She is the co-author of a 2012 publication, Shared Borders, Shared Waters: Israeli-Palestinian and Colorado River Basin Water Challenges, which advocates for a kind of “science diplomacy” to resolve difficult transboundary water conflicts, such as in Palestine. While this admission was in reference to the region’s land, is there any reason to think that this organization would handle the region’s water resources with equity for all the people living there? By hosting this event tomorrow, the UN becomes complicit in the JNF’s bluewashing project. Andrew Kadi contributed to this report. The Jewish National Fund (JNF) is a multi-national corporation with offices in about dozen countries world-wide. It receives millions of dollars from wealthy and ordinary Jews around the world and other donors, most of which are tax-exempt contributions. The JNF’s aim is to acquire and develop lands exclusively for the benefit of Jews residing in Israel. The fact is that the JNF, in its operations in Israel, had expropriated illegally most of the land of 372 Palestinian villages which had been ethnically cleansed by Zionist forces in 1948. The owners of this land are over half the UN registered Palestinian refugees. The JNF had actively participated in the physical destruction of many villages, in evacuating these villages of their inhabitants and in military operations to conquer these villages. Today the JNF controls over 2500 sq. km of Palestinian land which it leases to Jews only. It also planted 100 parks on Palestinian land. In addition, the JNF has a long record of discrimination against Palestinian citizens of Israel as reported by the UN. The JNF also extends its operations by proxy or directly to the Occupied Palestinian Territories in the West Bank and Gaza. All this is in clear violation of international law and particularly the Fourth Geneva Convention, which forbids confiscation of property and settling the Occupiers’ citizens in occupied territories. Ethnic cleansing, expropriation of property, and destruction of houses are war crimes. As well, use of tax-exempt donations in these activities violates the domestic law in many countries, where the JNF is domiciled. This report compiles the facts about JNF activities, supported by new maps and tables detailing JNF violations of international and domestic law. To read the full report click HERE or click on an individual section below. 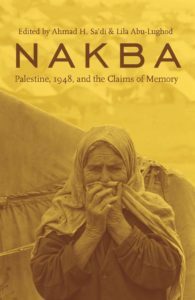 During Israel’s creation, over 750,000 Palestinians were expelled or fled temporarily to save themselves from the violence. Palestinian refugees and their descendants around the world continue to be denied their right of return as stipulated in a 1948 UN resolution. Why won’t Israel let them return to their homes? What can be done to achieve peace with justice?